The blog portion of my website is wordpress, the remainder (that the public can’t see) is php built with Zend framework. The whole thing sits upon a linux box, running fedora, which is in a facility on the other side of the nation from me. The server was 4 releases behind, hadn’t been upgraded in 2 years, and hadn’t even been rebooted in 288 days. I was hosting not only my own website, but 8-10 others for other people – friends and acquaintances who for whatever reason don’t have or can’t afford a hosting service. Obviously things were going entirely too well. So, a few days ago I decided to upgrade to a new release of Fedora (or, put another way, I decided to shoot myself in the foot). 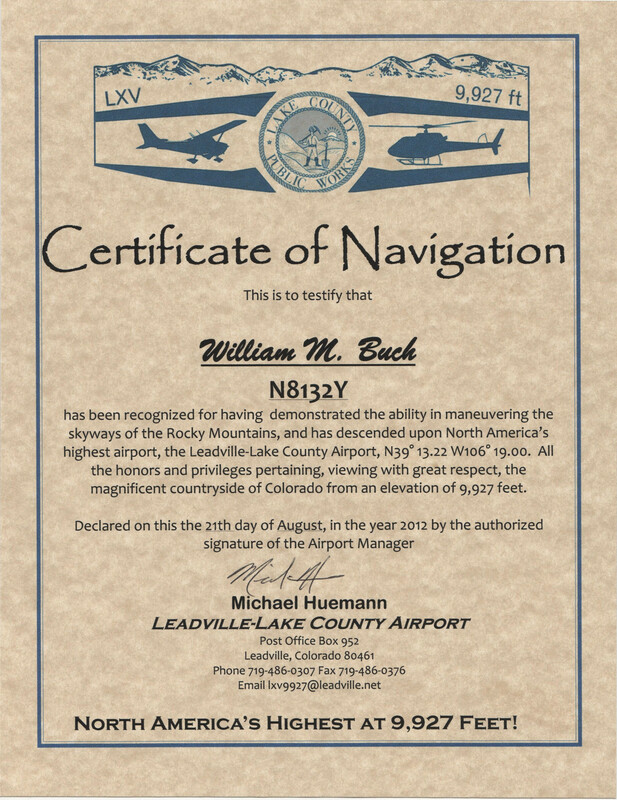 Today I flew N8132Y to the Lake County Airport in Leadville, Colorado. This airport has the distinction of being the highest paved runway in North America, at 9927 feet. The folks at the airport tell me that it is the third highest in the world, after one in Nepal and another in Peru. It is a beautiful flight on a nice day, although there is no escaping the fact that flying through the mountain valleys you are going to get bumped around a little. For me, this is part of the challenge of learning to fly in the mountains. I have never quite gotten used to turbulence, even mild turbulence. Most of my flying has been over the plains, and all in good weather. If it is turbulent out, mostly I don’t fly (although my private checkride was an exception). But if you go over the mountains at the lower altitudes of these small planes, there are going to be air currents. You just have to expect it, and learn to keep your heart from jumping into your throat. After all, the wings are not going to fall off. The second thing which makes these flights different is the requirement that you constantly be thinking about where you will put the plane if you have to make an emergency landing. Naturally this is way less of an issue in a turbo-normalized twin like 32Y. If I lose an engine, I have another, and with the turbos I can maintain altitude with one engine, and find a place to put down safely. But I’m still thinking about it. How far am I from surrounding airports? Is there a reasonable straight road around? 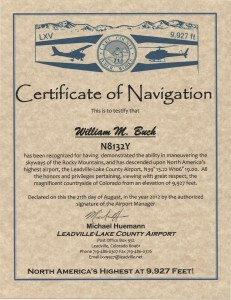 Finally, there is the excitement of trying to take off in a fully fueled plane, in August, at 9934 feet! Right now with temp/dp at 19/-1 and 30.46 inches, density altitude is 12,100! The runway is 6400′ for just this reason. Fortunately, with N8132Y’s turbos this isn’t really that much of a challenge, but for a normally aspirated engine 6400′ would seem awfully damn short. I wouldn’t want to try taking off today in a fully loaded 172. Vinagre is obsolete. This was the name of the previous built in remote viewing client in gnome (and therefore, for my purposes, in both Ubuntu and Fedora). It will operate as a VNC client (i.e. enable opening windows to VNC servers), but also an RDP client and will even pop up a terminal window for an SSH session. .
Remmina is the new remote viewing client, replacing Vinagre. Vino is the name of the built in VNC server. This is launched when you invoke the “desktop sharing” preference and enable “allow other users to view your desktop”. Your gnome instance sprouts a vino server listening on 5900, giving (possibly password protected) access to the existing desktop to any vnc client that can reach port 5900. A remote user attached in this way is sharing the desktop with the user seated at the “console”. When either moves the mouse, both will see the cursor move on the the display. Realvnc, Tightvnc, Tigervnc, Ultravnc are all different forks of the original VNC. Realvnc was the first, from the original devlopers. Tightvnc developed improvements in the encoding (tight encoding) if both ends are tightvnc. Tigervnc seems to be a Fedora fork of tightvnc. All will work with other, but some improvements only kick in if both ends share the improvement. Helped a local volunteer organization to build a website. They are Project Healing Waters – the Denver Program, and they help returning vets who have experienced some damage. They help by teaching the vets to fly fish, and organizing outings for them. If you are interested in the subject, see http://projecthealingwatersdenver.org. As a thanks for the help, their head coordinator gave me a fly rod, and one of their other officials is giving me fly casting lessons, and has offered to take me Fly Fishing next week. I’m very excited about this. I’ve always wanted to learn to fly fish. It looks very therapeutic. Just for fun I explored the Google Maps API and put maps into the flying apps. The google maps aren’t FAA charts or course, but on a multiple leg trip it is quite handy to be able to see the various stops laid out on a map. I also added maps to the page that shows the list of checkpoints. I think this is pretty handy in flight planning, as the alternative is to mark up a hardcopy chart. Another nice new feature is airport lookup. This is a jquery enabled box on the pages that are asking for an airport ID. If you are planning to fly to some city but don’t know the ID of the airport there, you can just type in the name of the city. It is an autocomplete thing which does an ajax lookup in the airport database as you are typing, giving you a progressively narrower list of airports in cities that match what you have typed. Once you select an airport the ID is automatically put into the field. Try the flight planner to see these new features. I finally got around to writing the code to decode TAFs. A lot of the code for decoding individual terms is shared with the Metar decoder. Metars are actually a bit more complex. The only complexity with TAFs is dealing with a sequence of forecasts for different time periods. I also updated the ADF Tester applet a little to bring it into this century. It is quite an interesting thing to note how much java’s internal mechanisms mutate over a period as small as 5 years. The flying apps are on the Flying page. I truly do not understand all I know about this, but I’ve been tripped up by this several times now. In an earlier post I mentioned that my early flight education inculcated me with a healthy fear of flying in the mountains, and that I’m trying to build up my confidence. I’m “stretching” myself, pushing myself. Two weeks ago I flew to Steamboat Springs, a charming little town in Northern Colorado. Yesterday I flew to Glenwood Springs on the other side of the Rockies. In both cases this means flying through the mountains. Glenwood Springs is quite a challenging little airport, nestled down in a valley with mountains all around. To get down to pattern altitude (7000 feet) I was descending in a valley southeast where the airport was out of sight, and then flying around this little ridge to finally get into the pattern. The final comes over a little river which creates some little downdraft. And of course this is only a 3100 foot runway. Plenty of runway I suppose, unless you are as inexperienced as I am. I’m landing the twin at blue line, which is 120mph, so if I don’t get it down pretty quick I’ll run out of runway, and the other end of this runway is not very accommodating to running over. Experience pilots would laugh at me. Bush pilots put bigger planes down in much smaller runways. But I’m still pleased. I’m pushing myself, and I’m learning. This is another post as a memory jogger for me. There is no great insight in this post, it is only to help me remember how to start services in Fedora and Ubuntu as I have both. I used Fedora long enough to get used to the old chkconfig stuff, but now thats gone. Ubuntu never did that anyway. They are different, and I get confused about which new syntax to use on which system.